So started playing the Diablo 3 Expansion Reaper of Souls, and no worries no NDA so I can spill my guts. I haven’t gotten to far in, but so far it’s been a walk in the park. The Crusader is damn near unstoppable with it’s skills. Although I do like God mode, I liked the challenges Diablo 3 had before. Yeah I might of went through 80 health pots with my other classes, but it was a challenge. I used two so far on my Crusader. 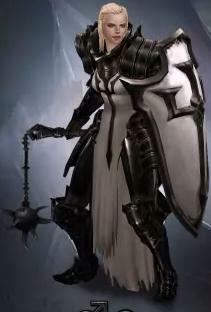 I haven’t found any cool Crusader-only weapons or shields, but like I said I’m still early. I did buy off a merchant a Javelin with a broken name, it’s funny. I should probably report it, but I think it’s kind of cool. It’s name is like “$$%%*# Javelin#$*” it’s longer than that, I just wanted to give you a taste. So far I haven’t seen anything that would blow me away, not that I would expect I would, but I’ll keep playing and hopefully I won’t weep. I still miss my Necromancer damn it! This entry was posted on November 27, 2013 at 5:22 pm and is filed under MMORPG with tags Crusader, Diablo 3, Reaper of Souls. You can follow any responses to this entry through the RSS 2.0 feed. You can leave a response, or trackback from your own site.